Internet activist Lyudmila Savchuk spent two months working in a "troll factory" in St. Petersburg, Russia. She was tasked with writing posts that would inflame anti-American sentiment among Russians. Others at the factory would write negative posts about American politicians, the war in Ukraine and America's NATO allies. That's what you can see from the outside. But what went on inside this building in 2015 has attracted a lot of attention in both U.S. and Russian media. The company that operated inside 55 Savushkina was called the Internet Research Agency. But unofficially, and more commonly, it was known as the "troll factory." Hundreds worked here, and 13 people, including a man with ties to Russian President Vladimir Putin, were recently named in an indictment connected to special counsel Robert Mueller's investigation into Russian interference in the 2016 U.S. presidential election. 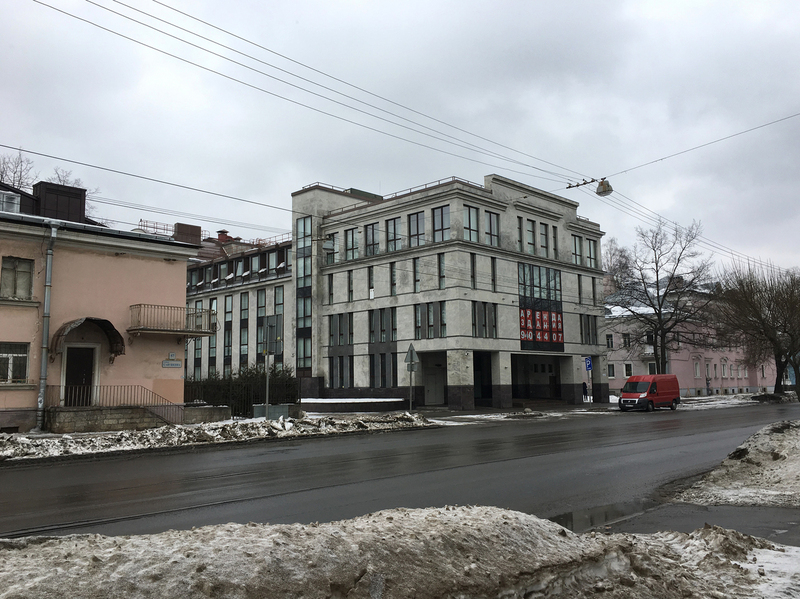 The troll factory in St. Petersburg, Russia, employed hundreds of young, educated people 24 hours a day, seven days a week, according to Savchuk. Several people who worked in this building were recently named in an indictment filed by U.S. special counsel Robert Mueller as part of his investigation into Russian meddling in the 2016 election. "The factory worked 24 hours a day, seven days a week. There was a day shift, a night shift, and even shifts over the holidays. The factory worked every single second," Savchuk says. "My friend taught me the ropes. She told me that I had to write posts that were natural — like, for example, 'I am cooking or I am walking down the street and I had this thought about how bad the [pro-Western] Ukrainian president is.' "
According to Savchuk, there were a few hundred people in the building at any given time, and the average pay started at $400 a month. The trolls were divided into groups. Those with the best English skills posed as Americans and created accounts on Facebook and Twitter. They'd use those troll accounts to stir up trouble on subjects such as U.S. elections or race relations. "We made up a post about a new computer game created in the States — that even kids loved to play — and the theme of the game was slavery," she says. "And this was to stir negative tensions towards Americans, as the creators of this game." Savchuk is a supporter of Russian opposition leader Alexei Navalny. 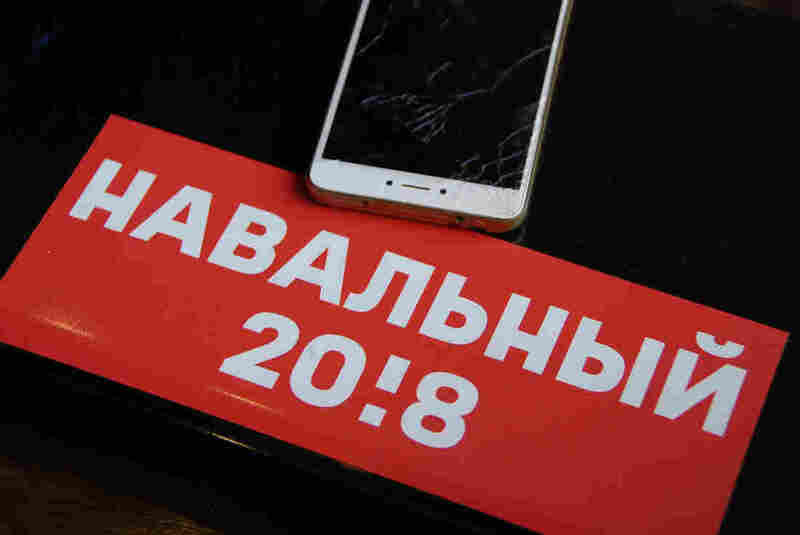 The Russian government has barred Navalny from running in the Russian presidential election this weekend, but supporters still plaster campaign bumper stickers bearing his name on their laptops. "It is laughable when Putin says that we do not know about trolls or trolls do not exist," she says, "because when anyone looks through the Kremlin-controlled newspapers or state TV, they can see that the propaganda in that media is the exact same stuff that the trolls are posting." "For the public, it is harmful because we are being brainwashed," she says. "We won't be able to understand what is really happening. We are put against one another, and we are sliding back into the old ways when we were searching for the enemy among us — our friends and colleagues. That feeling from the Soviet times — I can feel it everywhere." "They said that I am a secret agent, a CIA operative, and that I am a pervert," she says. "This is what they usually do. So I was ready for this." "This was really a good sign," she says. "We should continue to add more names to this list. I think that every single propagandist, even the little troll on Facebook, has to be punished, has to be named and exposed." Freelance journalist Anna Shpakova contributed to this story.